Sign-up using the link below or call us at 602-971-2720 to make your appointment! Located in Phoenix, AZ, Sugarloaf Animal Clinic is committed to your pet's health and well-being. North Phoenix based Sugarloaf Animal Clinic excels in the science of Veterinary Medicine and was founded in 1968. 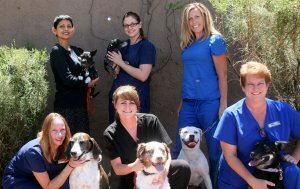 Dr. Amrit Rai and her staff continue to excell in compassionate veterinary care in the North Phoenix area. Sugarloaf Animal Clinic is a full-service animal hospital whose aim is to provide the highest standard of veterinary care for pets. We provide friendly, informative and supportive services for you and your pet, while maintaining a superior working environment for our staff. Our mission is to provide high quality pet health and wellness services to assist your pet in living a longer, happier, and healthier life. We also provide our clients with access to leading edge products and services and authoritative educational content focusing on enhancing the human animal bond. 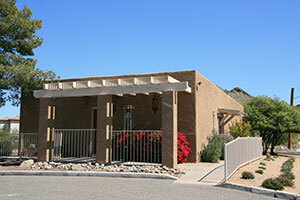 Sugarloaf Animal Clinic is a full-service veterinary hospital, located in Phoenix, AZ. With an in-house pharmacy and access to specialists, our facility offers a one stop facility for your pet's health and medical care. The professional and courteous staff at Sugarloaf Animal Clinic seeks to provide the best possible medical, surgical and dental care for their highly-valued patients. We are committed to promoting responsible pet ownership, preventative health care and health-related educational opportunities for our clients. Sugarloaf Animal Clinic strives to offer excellence in veterinary care to Phoenix, AZ and surrounding areas. Please take a moment to contact us today, to learn more about our veterinary practice, and to obtain more information about the veterinary services Sugarloaf Animal Clinic can provide for you and your cherished pet. We are open for appointments and emergencies Monday-Friday 8am-6pm and on Saturdays 9am-1pm. Dr. Rai graduated from Iowa State University, Ames, Iowa in 1993. She also has a Masters degree in Veterinary Medicine from the Panjab Agricultural University, Panjab, India. "Dr. Rai, although direct, is amazing with my dogs. They always call the next day to make sure the dogs are alright after any shots or tests. They even squeeze me in the same day if something comes up." "An update of how amazing my dog is doing after being in the care of Dr. Rai and staff members. Love this office! Pictures of how Una, my pup, is doing are posted! This is just in three weeks of being with Dr.Rai, more healing is on its way as well!" I always feel right at home when I visit your office. I must say " I have not found a better service"
You and your gals are at the top of my list. I do believe my sasha would agree! :)"
"Dr. Rai has been our dog's vet for several years. It is a joy to visit Dr. Rai and her staff and Sadie is always treated well there. Thank you for caring for our dog all these years. The Jeffers family"
"This place is amazing. I felt so comfortable leaving my dog with their loving, warm and accommodating staff. My dog is highly sensitive and doesn't do well with people but he did GREAT all thanks to their soft spoken techs and doctor. So thankful I chose this place!" "So thankful for the caring, professional staff at Sugarloaf!! My rescue dog is very shy with PTSD from abuse. The Sugarloaf staff takes the extra time with her to help her feel safe and relax. She was injured and they gave objective assessments and recommendations for treatment. Thank you so much, Sugarloaf for your genuine love and kindness for animals...we can all feel it and we appreciate you!" "By far thee most compassionate staff !! A couple of months ago i had to put down my lil girl and the staff was so comforting ! !� yesterday i brought in my other dog for a check up and they were amazing !!!" "The staff and Dr. Rai are amazing! They were close to closing and I felt that I wasn't being rushed so they could leave. They came up with the best treatment plan for my new puppy, and this was an hour after office hours. Convenient location and can't say enough about the staff. Great place to take your furbaby for quality treatment." "I have never met such a compassionate caring vet in my life. The entire staff is amazing. I am so thankful I found Sugarloaf Animal Clinic." "I love Sugarloaf! They are so thoughtful and caring!... Even when I call back 4 times in one day :) my "kid" receives the best care from Dr. Rai and all of the wonderful women who work there. Awesome customer service ladies! I also respect the knowledge Dr. Rai has and her ability to explain what and why my kid is not feeling good. Thank you Sugarloaf!!" "Love Team Sugarloaf. My Albert loves them too! Excellent group of professionals!" "Always excellent heartfelt care and immediate appointments available to care for your emergencies.